posted on the Nikkei News (29th May 2017). Our main client, Safran Aircraft Engines, was awarded as a contributor to industry promotion in Ashikaga. 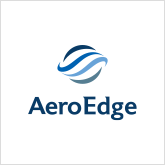 COPYRIGHT © 2017 AeroEdge Co.,Ltd ALL RIGHTS RESERVED.